Zombie slayers, listen up! A new update is available through Google Play for Dead Trigger 2; the update we have all been waiting for. Finally, Madfinger Games opened up the Chinese environments and claim there is now almost double the content as there previously was, so it appears Christmas has come early for us. Players can now choose from up to 30 different weapons and use them on over 150 gameplays. And while I will be the first to say that the game sometimes gets a bit repetitive, the opening of the new environment should certainly change that. In addition, the developers added in a few different melee weapons, including the Big Hammer, Brain Mill, Machete, and Butterfly Swords. They claim it makes for a truly unique gaming experience, so we’re excited to try it out. Madfinger also teases that they have a few Christmas presents inside for players who update, so definitely go grab the newest version. Just in time for the Christmas Holidays, MADFINGER Games has released The Big Update for Dead Trigger 2 on App Store and Google Play. 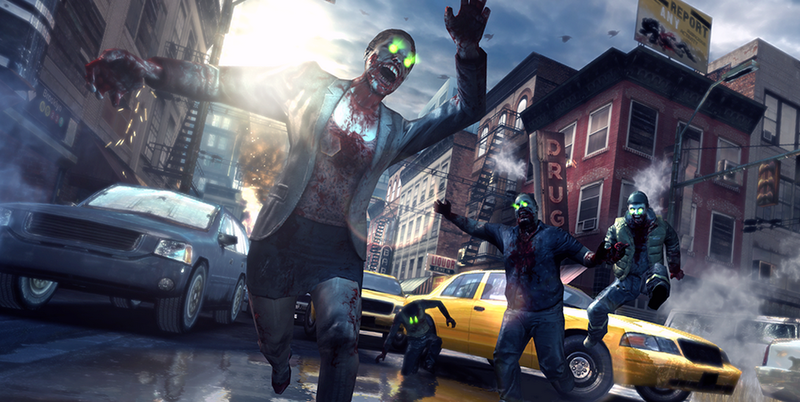 Two months after its initial release, the first person zombie shooter has gained more than 10M downloads. This special Christmas update brings with it many changes, new additions and anxiously awaited gadgets. MADFINGER Games has also released an update for the original Dead Trigger, the first title from its first person zombie series, which now features support for new devices. December 17th, 2013 – Brno, Czech Republic – Dead Trigger 2 is constantly getting bigger and bigger. The update that has been released today on App Store and Google Play, has almost doubled game content. The fight for survival continues in the beautiful Chinese environment, where a new single player story and warfare missions await survivors. Now players are able to travel across 3 regions across different parts of the Earth, explore 15 various environments, grab their favorite from one of 30 kinds of weapons and enjoy the action in more than 150 gameplays. In connection with the Christmas holidays, MADFINGER Games have prepared some cool limited-time Christmas presents for Dead Trigger 2 players that will be available during Christmas time. There are still rewards for player participation in global missions. In addition, the current update brings with it a system of achievements and challenges. Players will be rewarded with gold – the exclusive in-game currency. This includes full support of Achievements in Game Center on iOS and Play Games on Google Play. The Christmas update also makes available some truly non-conventional melee weapons such as the Big Hammer, Brain Mill, Machete or special Butterfly Swords that provide a completely different gaming experience and make the game much more enjoyable.